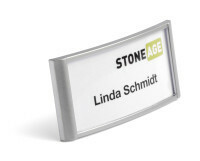 Classic name badges with an elegant, galvanized silver finish perfect for long term use. Twin magnets for easy and safe fastening, even to delicate garments. 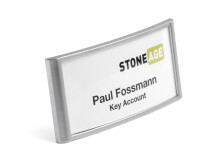 Classic name badges with an elegant, galvanised silver finish perfect for long term use. Twin magnets for easy and safe fastening, even to delicate garments.